This New Steel Half Cab Bulkhead for Early Broncos can be used with either the stock steel half cab top or the new fiberglass half cab top. It can also be used in your roadster or wagon as a separator to keep items from sliding up to the front of the truck. Made in the USA! Made of 14 gauge steel. 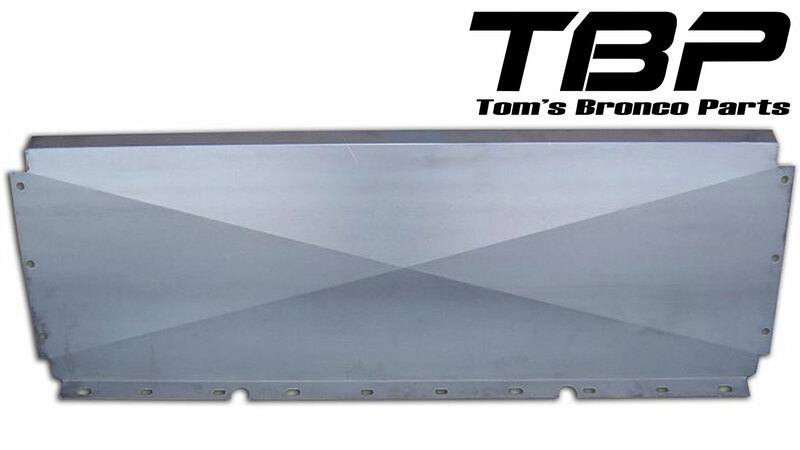 Fits 1966 to 1977 Ford Broncos with factory half cab pickup hard top (or TBP fiberglass half cab top). Can also be used on early Broncos as a utility divider to keep items from shifting from the back seat up to the front.